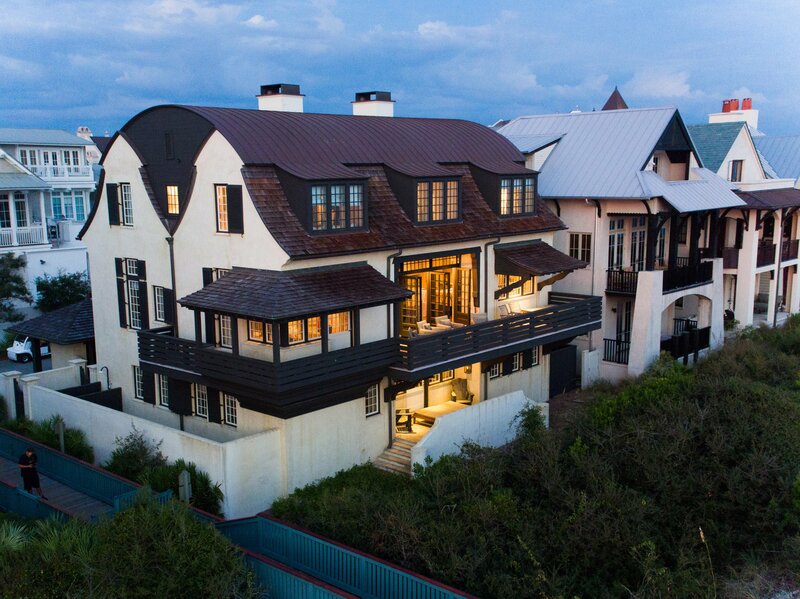 This is a splendidly beautiful Bobby McAlpine designed home built on a 66 feet Gulf Front lot in Rosemary Beach. The home has a coastal elegant and casual feeling with sophistication throughout the interior. Over 5,000 square feet of open space interiors designed to accentuate 18 foot ceilings. Beautiful shades of taupes, driftwood grays, airy sky blues and creamy whites. The expansive owners suite have views galore and incurable living space. The kitchen is a chef's delight with rustic cypress cabinets and marble countertops. 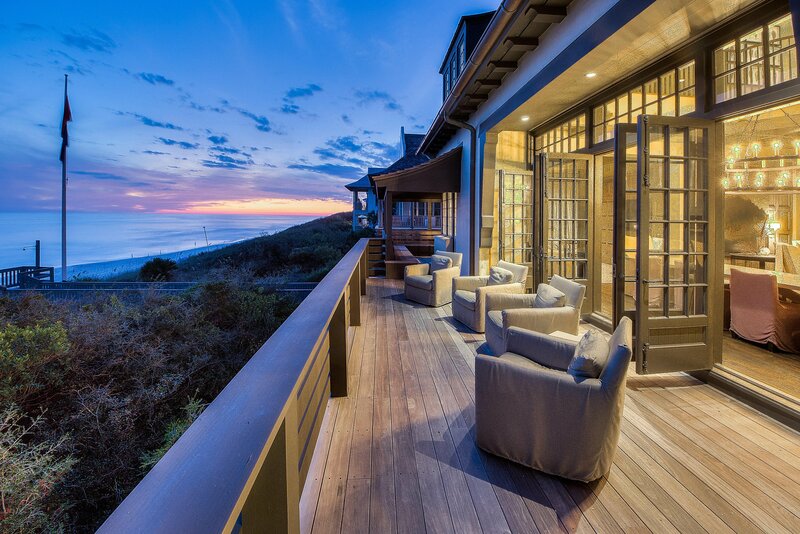 Every detail to comfort, sense of calm and romance in the incredible beach home. 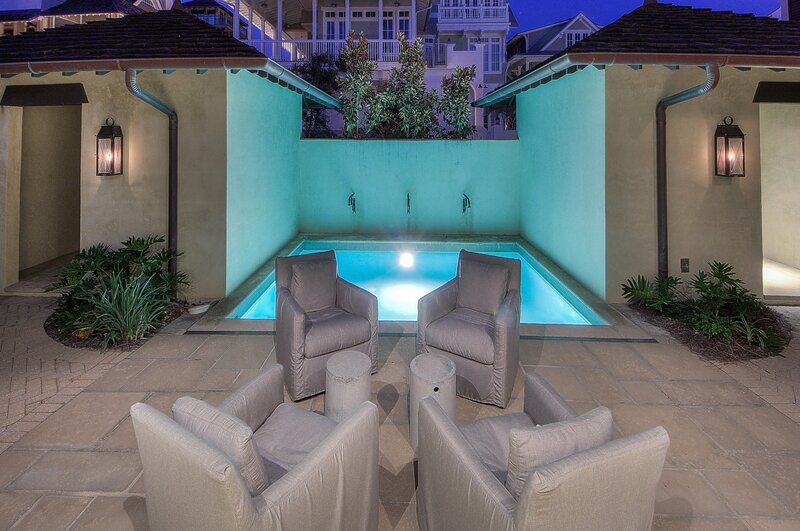 The home boast large porches and breathtaking views, lovely courtyard and pool. Buyer to verify all measurements and dimensions. Information contained within this listing such as square footage, is deemed to be accurate but is not guaranteed. Buyer to verify.